Hi, my name is Peter Krueckel. As a passionate engineer and software developer with 3+ years working experience in the energy sector and 2+ years in the semiconductor business, I love to work on projects that create value and have a positive impact on nature and other people. To have a positive influence on nature and other people is the most important principle I can identify myself with. The goal of creating as much value as possible by applying my knowledge in practice motivates me to make decisions and act reliable, thoughtful and with full commitment every day. 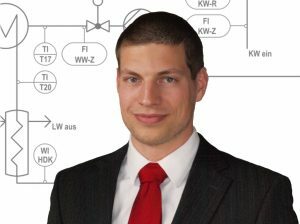 In order to acquire as much practice-oriented knowledge as possible, I chose to get a master’s degree as a process engineer. And also after graduation, I continue learning and constantly improving my knowledge and skills. It excites me to increase the efficiency of existing processes and to apply new technologies in practice.